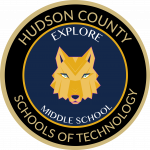 Allyson “Ally” Krone, recently appointed Principal at Explore Middle School, has been a part of the Hudson County Schools of Technology School District since 2000. Originally an English teacher at County Prep High School, Ms. Krone moved into a supervisor role in the project-based Academy of Architecture and Contemporary Themes (AACT) in High Tech High School in 2008. In 2010, she took on the role of Assistant Principal at High Tech, where she has since helped to guide the school towards continued academic and career and technical success. A proponent of constructivist education practices, Ms. Krone strives to promote hands-on, academically rigorous learning opportunities. A believer in the value of academic risk-taking and interest-driven learning, Ms. Krone is a naturally collaborative leader whose door is open for all students, staff and parents. In addition to her role in the HCST District, Ms. Krone is an adjunct professor of Literacy Education at New Jersey City University. Beyond the school campus, Ms. Krone can be found spending time at her Jersey City home with her dog, Thunder, or taking advantage of the rich arts and cultural scene throughout Hudson County and New York City. Ms. Jamie Velazquez teaches 8th grade Social Studies and is the Supervisor of Instruction at Explore Middle School. She is a graduate of William Paterson University and holds a Master's Degree in Education and Supervision from New Jersey City University (NJCU). 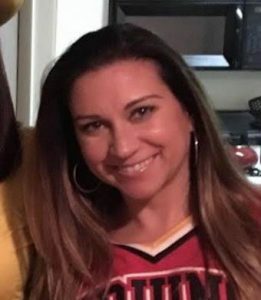 Ms. Velazquez taught at HCST’s High Tech High School from 2009 - 2018. Her goals in the classroom are to guide students in developing stronger communication skills through whole class discussion and collaborative group work as well as facilitating the understanding that diversity helps shape human experience and therefore should be celebrated. Ms. Velazquez is committed to lead the student body and staff of Explore into a project-based learning school that drives students to actively pursue knowledge. Outside the classroom, she enjoys exercising and nutrition and spending quality time with family and friends. Ms. Michelene Calabrese has been an Administrative Assistant at Explore since 2013. 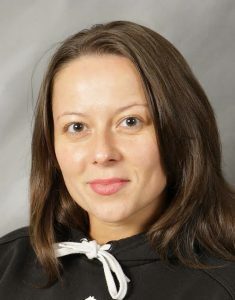 Prior to joining the Explore team, Ms. Calabrese earned her Bachelor of Arts degree in English from West Virginia University. In addition to her work supporting the daily operations of the middle school, Ms. Calabrese coaches the David Brearly High School Lady Bears basketball team. Ms. Michele Jefferey has been part of the HCST community for thirty-two years. 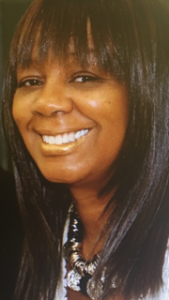 During her tenure in the district she has served in various capacities, from teacher assistant to her current role of Executive Secretary at Explore Middle School, where she has spent the last fifteen years of her tenure. Ms. Jeffrey studied at St Peter’s College in Jersey City. She is active in her community, holding various volunteer positions including as a Hudson County Committee Woman and the Board of Directors for Spectrum Health Care. In 2017 she was awarded the Jersey City Woman of Action Award. Beyond her duties in the school and the community. Ms. Jeffrey enjoys interior design, entertaining and cooking, and being Mom to her children, Alton and Kyle. Ms. Mariel Teschlog is the School Counselor at Explore Middle School. A graduate of The College of New Jersey, Ms. Teschlog holds an MA in Counseling as well as a BS in Elementary Education/Psychology. 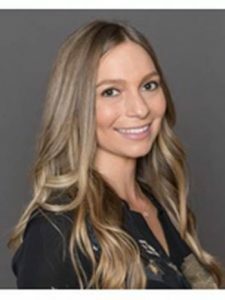 Before joining the team at Explore, Ms. Teschlog worked in the Bayonne School District were she served as School Counselor and as Math and Science Teacher; she also taught Math and Science Teacher at Trenton Catholic Academy. Ms.Teschlog strives to create an environment where each student feels valued and safe to be themselves. 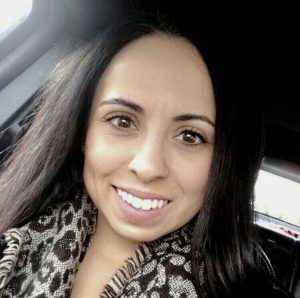 It is her goal to help every student discover what makes them unique, as well as how to use these traits to build the foundation for a happy life. She believes that, in order to create a lifelong passion for learning, classroom experiences should be both authentic and meaningful to students' lives. Outside of school, Ms. Teschlog also serves as a Cross Country/Track & Field Coach. Her interests include following current events in science and fashion, attending concerts and basketball games, and planning future travels. Ms. Heather Garrett teaches 6th grade Language Arts and is a graduate of Kean University. She holds a Masters in Instruction of Curriculum from Kean University and has been teaching at Explore since 2011. Ms. Garrett’s goals in the classroom are to make learning fun, differentiate instruction to meet all learners needs, and to instill a love for literacy within her students. Heather likes to maintain a positive learning environment and open communication with her students as well as their guardians. Ms. Garrett is the lead teacher with the yearbook for Explore and runs this class during after school hours. She has a love for holistic health and is an avid fan of things such as yoga, Pilates, and mindfulness. In her spare time Heather likes to spend time with her family and her dog Torrance. Ms. Justine Franco teaches language arts and journalism. She holds a Master’s Degree in Secondary Education from West Virginia University. This will be Justine’s first year at Explore Middle School. Prior to this school year, she taught language arts at Infinity Institute in Jersey City for 7 years. Justine’s goals in the classroom focus on encouraging her students to meet the challenges of the 21st century. She does so by making sure that her students know that their world is literary and literature must be analyzed and respected. The effort it takes to get through a worthwhile book is the same effort it takes to interact with the world. This motivation helps her young learners build the confidence to take on new experiences and expand their knowledge. Outside the classroom, Justine enjoys spending time with her husband and daughter and their dog, Atticus Finch. Mr. John W. Dunphy teaches 7th grade Language Arts at Explore 2000. He has two BA's, one in Theater from Muhlenberg College and one in English from New Jersey City University. With six years teaching at Explore, Mr. Dunphy’s first introduction to the HCST family began in 1998, when he enrolled in High Tech High School. Before teaching at Explore, Mr. Dunphy taught in Harrison, NJ, at both the high school and Middle school level. He has also worked for the Jersey Journal, Hudson Reporter, and as a production assistant on several independent movie sets. His main goal in the classroom is to find the best in every student. He believes there is no such thing as a "bad student” or a "bad learner;” instead, he believes the educator’s job is to adapt to the needs of the learner in order to facilitate their individual success. As such, Mr. Dunphy does all he can to impress upon his students the joys of reading and analysing literature. In addition to teaching Language Arts, Mr. Dunphy also facilitates the Anime Club--where students are exposed to the various art forms that combine in this genre--and leads the after-school discussion group “Behind the Mask,” which dives deeply into the academic, social and cultural implications of superheroes in comics and films. When not teaching at Explore, Mr. Dunphy is a member of several groups including The Lions, The Knights of Columbus, and Camp Fatima, New Jersey's only one-on-one overnight camp for children with disabilities. He also continues to write screenplays and teleplays and greatly enjoys the daily crosswords and sudoku. Ms. Amy Garrett is a Social Studies and Language Arts Literacy Facilitator at Explore Middle School. Ms. Garrett has been with the Hudson County Schools of Technology District for 9 years, where her experiences include workings as a substitute teacher/aid for 5 years at County Prep High School, and as a substitute teacher/aid for 2 years at High Tech High School while she completed both her BA in History and MA in Instruction and Curriculum, along with a teacher certification of Students with Disabilities. Ms. Garrett joined the Explore Middle School team in 2016. As a facilitator at Explore Middle School, Ms. Garrett would like to instill a passion and love for learning in her students. By creating a learning environment that fosters and promotes students’ talents and interests, Ms. Garrett hopes to equip her students with the skills needed to be successful in life. As a Social Studies and Language Arts Literacy facilitator, Ms. Garrett would like to increase her students’ awareness that they have a voice and help foster the confidence and skills necessary to use those voices positively and effectively both inside and outside the classroom. Ms. Lauren Norcia has been a 7th and 8th grade science teacher since 2012. 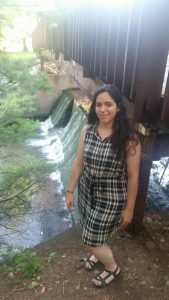 She is a graduate of Montclair State University and is currently pursuing a master’s degree in special education at NJCU. In her science classroom, students are asked to think like scientists, engineers, and mathematicians while collaborating with one another to create hands-on projects that are rooted in the Next Generation Science Standards. Outside of teaching she enjoys yoga and spending time with her family and friends. Ms. Mary Norcia has been a science educator for three years, in the West Orange Public School District, prior to joining the Explore family. 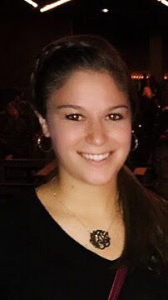 Having earned her bachelor’s degree in Psychology, with a concentration in elementary education and middle school science, from Montclair State University, Ms. Norcia is currently studying to obtain a Master’s Degree in Counseling from New Jersey City University. Her ultimate goal at Explore is to help students develop a passion for science. She approaches this by keeping students engaged in an array of hands-on activities that deepen their understanding and enhances their retention of knowledge. She encourages her students to “think outside the box,” challenges them to investigate their world through inquiry, and equips them with critical thinking and process skills. Outside of the classroom, Ms. Norcia can be found spending time with family and friends, as well as trying out new restaurants in the Hoboken/Jersey City area. Ms. Norrey Benito teaches Health and Wellness at Explore, where has taught for over half a decade. Holding degrees in Health Science and Special Education, Ms. Benito’s Health and Wellness classes ask students to engage with and learn to value the practice and application of civil discourse, tolerance, and teamwork so that they will become functional citizens in society. She believes these skills, which are rooted in empathy and acceptance, are vital to her vision for her students. In addition to teaching Health and Wellness, Ms. Benito also offers extracurricular courses in volleyball, rowing and archery. Beyond the halls of Explore Middle School, Ms. Benito enjoys reading, playing tennis, making crafts, and spending time with her family. Ms. Shannon Mattern teaches Physical Education at Explore Middle School. A native of Harrison, New Jersey, Ms. Mattern earned a B.A. in Health and Physical Education from Kean University where she was a member of The Leadership Institute and co-founder of the Rec-N-Crew Club, a recreation and intramural program at the college. 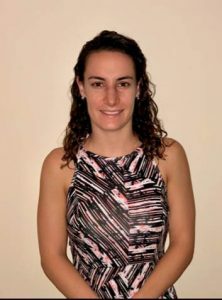 Entering her third year in the Hudson County Schools of Technology, where she also teaches Intramural Sports at High Tech High School, Ms. Mattern previously spent three years in the Harrison School District. Ms. Mattern’s goal is for all students to take away lessons from her class regarding teamwork, specifically communication, social interaction and knowledge of unique and fun ways to exercise and stay healthy throughout their lives. Beyond the classroom walls, Ms. Mattern enjoys playing guitar, exercising regularly, and traveling. 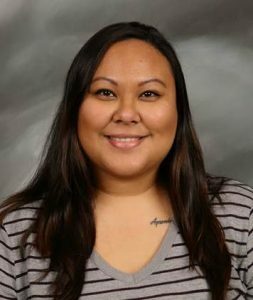 Ms. Anna Bontigao is entering her 12th year at Explore Middle School, where she teaches Mathematics. A dedicated lifelong learner, Ms. Bontigao earned her Bachelor's Degree in Psychology and Urban Education at Rutgers University in Newark. She holds an MA in Educational Leadership from New Jersey City University, where she is also currently working towards her second Master’s Degree in Educational Leadership with specialization in Administration and Supervision at NJCU. In addition to these degrees, Mrs. Bontigao is currently pursuing certificates in Holocaust Studies and Prejudice Reduction Studies from the Human Rights Institute/Kean University. Ms. Bontigao believes that each student simply needs one other person to believe in them in order for them to be successful in life. Her goal is to be that person for students who might have a difficult time locating their personal fan. As a result of these beliefs, it is her mission to reach as many students as possible in order to make a difference in their lives. Her approach to mathematics education is grounded in the hopes that she can help students recognize their self-worth, find their own independence and become resourceful young people. Ms. Bontigao enjoys spending time with her family and enjoying the simple things in life. She is a proud mommy-to-be, with her first child due in October of 2018. Ms. Frances Bermas teaches Mathematics at Explore. Entering her sixth year at the school, Ms. Bermas holds an MA in Special Education from New Jersey City University where she also earned her BA in Elementary Education and Mathematics. 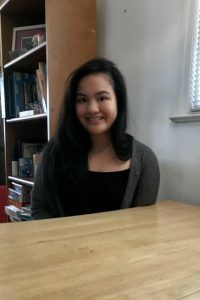 Her goals in the classroom include developing a lasting understanding of the mathematical concepts encountered while also aiming to developing a supportive learning environment where students feel supported to do their best at every opportunity. In addition to her mathematics background, Ms. Bermas is also deeply interested in the arts, teaching multiple arts courses after school while also painting and singing on her own time. Beyond her academic and artistic interests and accomplishments, Ms. Bermas enjoys completing sudoku puzzles and spending time with her family and her dog, Pugsley. Ms. Mary Ellen Kettleman is a proud Hudson County native who got her first job in education when she was 14 years old. She been teaching in some form ever since, earning a Bachelor’s Degree in Mathematics from Stockton University in 2004, followed by a Master’s Degree in Education from New Jersey City University. She has taught at the middle and high school levels in her seven official years in the classroom, where she has employed a real-world, applications-first approach to mathematics to promote learning. This philosophy is informed by her experiences as an Operations Specialist at Chase Bank prior to formally becoming an educator. 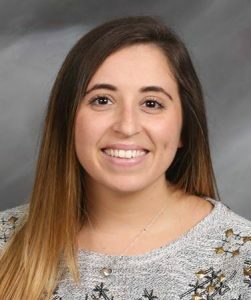 Ms. Kettleman’s interests range widely from step dancing to physics; she has also worked with the National Science Foundation and the Holocaust Resource Center. Ms. Angela Marie Cirillo teaches Vocal Arts at Explore, where she is entering her second year of instruction. A graduate of the Music Education program at Caldwell University where her primary instrument of study was voice. She was also a part of the flute ensemble for four years as well as Choir, Children’s Opera, and Musical Theatre. 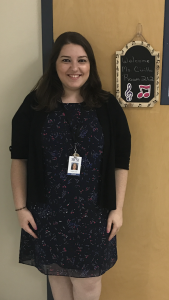 Currently pursuing a Master’s Degree in Leadership from Saint Peter’s University, Ms. Cirillo feels that one of the greatest joys that comes with being a music teacher is watching her students become musicians in their own right. To accomplish this, Ms. Cirillo creates a classroom environment that is safe and fun so that students can express themselves while learning to appreciate and create music. Ms. Cirillo is also happy to be a part of the great Hudson County community, serving the Town of Guttenberg’s Recreation Department as a Supervisor and taking part in various community events in the Town of West New York. 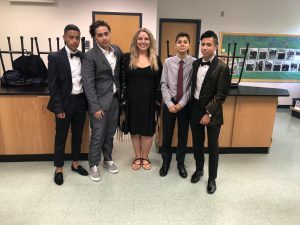 When Ms. Cirillo isn’t singing or creating music, she loves watching soccer and attending the many wonderful activities, events, and performing arts programs that Hudson County has to offer. 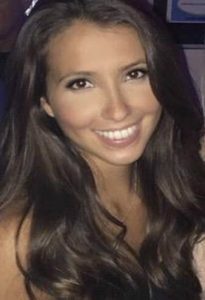 Ms. Alexandra Jeanelle Llaguno is a substitute teacher at Explore Middle School and is a college graduate of Saint Peter’s University, with a B.S. in Biology and a minor supplement in Chemistry. An alumnus of High Tech High School, Ms. Llaguno completed her first year teaching at Explore Middle School during the 2017-2018 school year. She is excited to start her second school year as an educator in the HCST community. Ms. Llaguno’s goals in the classroom are to create a fun and active learning environment that establishes life-long lessons whose impacts are both educational and personal. Ms. Llaguno’s personal interests include many physical activities like judo, volleyball, yoga, and swimming. She is a black belt in judo and assists teaching judo classes to kids ages 4+. Ms. Llaguno is also interested in holistic studies, mainly focusing on health and nutrition that promote an all-around balanced lifestyle. 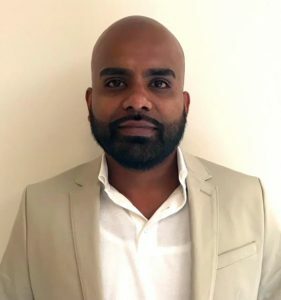 Mr. Kiran Aziz has been an Educational Technologist at Hudson County Schools of Technology since 2003, and a part of the district since 1995. He has taught K-12, post-secondary, alternative high, and adult school technology courses, as well as providing support and training to faculty. Mr. Aziz holds a B.A. in Computer Science from NJCU, and is NJDOE certified Teacher of Computer Science Technology, and Computer User Support Specialist (4148 and 4151, respectively). In his spare time, he enjoys reading and researching emerging technologies and finding ways to incorporate such concepts into the learning environment. Among his achievements are; the development and implementation of the k-5 technology curriculum, and NJDOE approved 3 year technology plan for the Schomburg Charter School district. Mr. Aziz will continue to facilitate technology courses and further the integration of technologies such as; robotics, 3D printing, digital fabrication (CAD/CNC), and multimedia production at Explore Middle School.